In tribute to small children and easily distracted people everywhere, NASA will go out of its way to check out a shiny object. A small asteroid named Psyche appears much brighter than other known asteroids, and NASA/astronomers believe it may be composed mostly of metal. Some are conjecturing that Psyche may be the inner core of a small planetary body stripped down by various celestial forces, and they think that a closer look at the asteroid may teach us a great deal about the inner core of our very own Earth. Psyche is a Massachusetts-sized, mostly spherical body hanging out in the asteroid belt between Mars and Jupiter, where NASA has already managed some wildly successful investigations (the Dawn Treader…er, Dawn mission to Vesta and Ceres). Ceres itself handed them some surprises, most notably with the curious shiny patches on its surface that didn’t appear to correlate with anything known of planetary surfaces. Let’s just declare the asteroid belt a cool place, m’kay? Because it is. The mission was proposed and discussed back in 2015, and NASA selected it for further review and refining. The final decision on when the mission would proceed was announced this year. 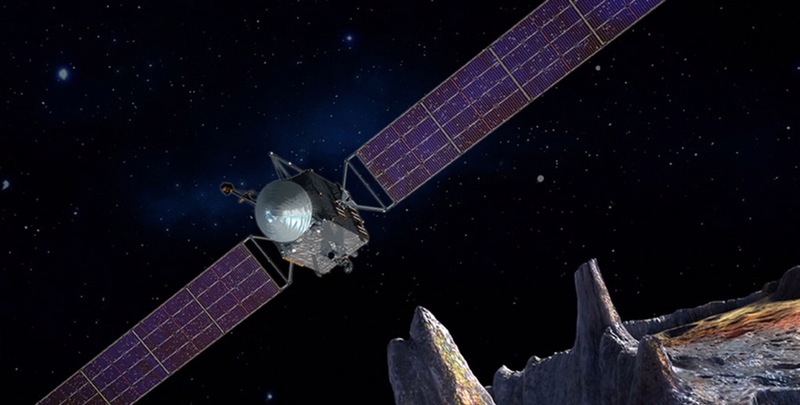 Looks like the Psyche mission is one of five exploratory ventures that NASA’s JPL will conduct from 2020-2030, in collaboration with Arizona State University (ASU) and Space Systems Loral. The mission director, Dr. Lindy Elkins-Taunton (ASU), has led several other successful NASA explorations of the solar system. Check out an interview with her here. Fingers crossed that they maintain the budget needed for this exploration. There’s an amazing amount of astronomical stuff to check out this week. First off, if you haven’t seen Cassini’s pictures of Earth from Saturn’s orbit, you need to look at them now. Our pale blue dot is stunning and incredibly delicate as seen from a billion miles away. 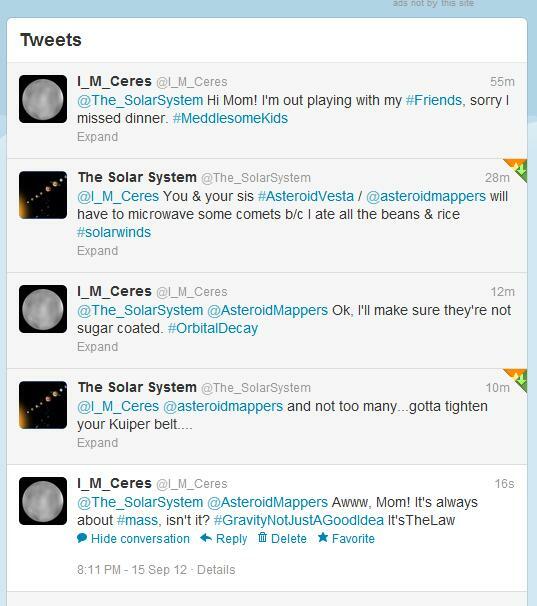 And then NASA decided to catch a thief. Er…asteroid. Sky charts for August 2013 – Jupiter and Mercury and Mars, oh my! Hope you enjoy everything. More flash fiction coming this week! You gave us hobbitses, Gollum, Middle Earth, Gandalf, and the Sackville-Bagginses. Yes, I love the Shire most of all – mostly due to my lack of height – but I happily chewed my way through tales of other far and distant lands, vivid images of stately elves and graceful architecture springing into my mind’s eye. And the second link…well, it appeals to my sense of humour. Enjoy! A little over 2000 light years away, toward the constellation of Cepheus, is a place where stars are being born. It’s a nebula, a gas cloud, and it’s called IC 1396. It’s monstrous, well over a hundred light years across – even at its tremendous distance, it’s wider than six full Moons in our sky. Finnish astrophotographer J-P Metsävainio observed IC 1396, making a gorgeous image of it. But he wasn’t satisfied just doing that. He’d been playing with making 3D images for some time, and decided this might be a good opportunity to make a model of the structure of the nebula, and then create an animated GIF of it. 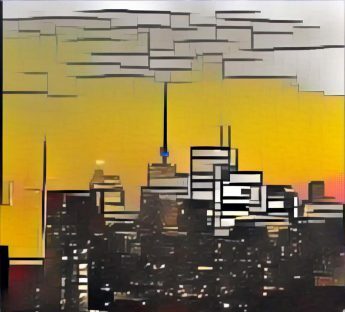 I’m not going to ruin the effect by trying to post the .gif here, go check it out! Publicizing family medical and mental issues online? 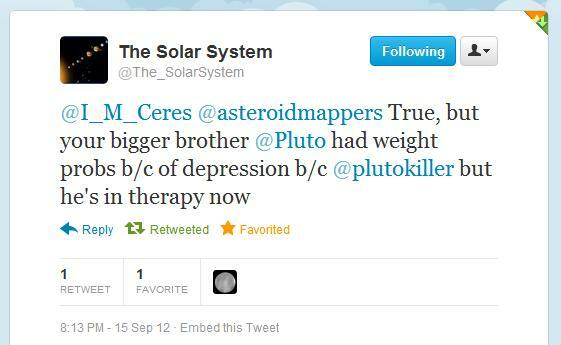 For shame, Solar System! One of my favourite science fiction authors passed away on August 15th, 2012. Goodbye, Harry Harrison. Your series with an atheist protagonist made me reevaluate my beliefs and decide where I stood on issues such as religion, life, death, practical jokes, the military, food, explosions, and humour. I – and many, many others – will miss you and your work. The Guardian’s obit can be found here. If you’d like to read messages from Harry’s family, friends, and fans, check out the Harry Harrison Official News Blog.